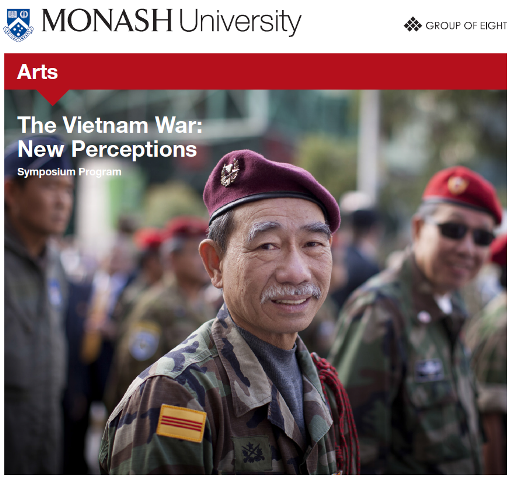 This interdisciplinary symposium examines the Vietnam War from new perspectives including those of the Vietnamese diaspora, and explores the ways in which perceptions of the war have altered in recent years. 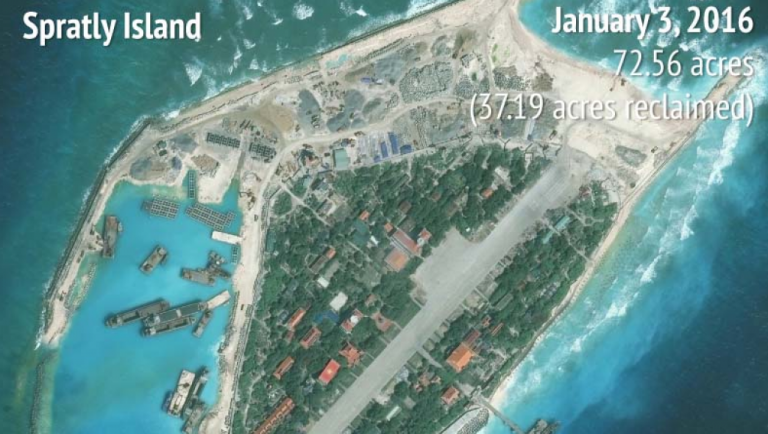 The effects of the Vietnam War outside the boundaries of the Vietnamese state are ongoing. 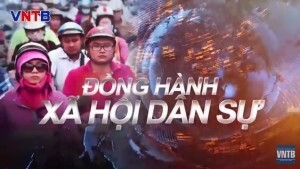 The presence of a substantial Vietnamese diaspora in countries that participated in the conflict has contributed to changing interpretations of the war. 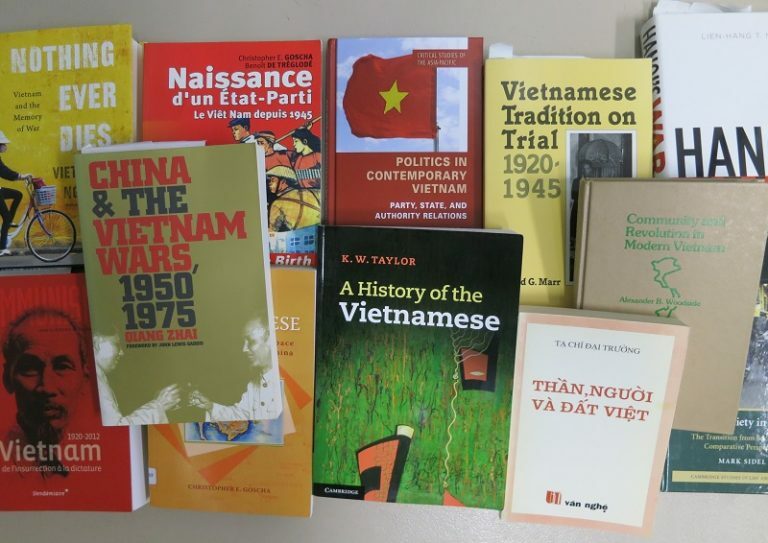 This symposium acknowledges the South Vietnamese experience of the war and provides new insights into the reconstruction and memorialization of the war by Australian, American, Canadian and French scholars. 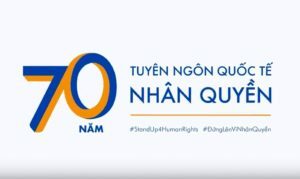 Many important figures in the contemporary history of Vietnam who experienced the destiny of their country from the seizure of power by the Viet Minh in August 1945 to the period of “Renewal” have been excluded by Vietnamese official history. 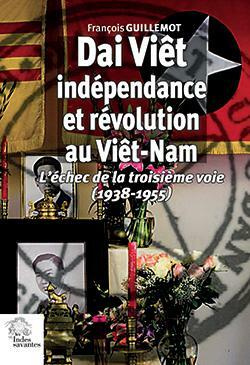 Millions of Vietnamese perished at each stage of their decisive struggle for independence. But after the civil war, those who chose a different path by refusing communism joined the camp of the damned. Until recently, academic research has paid little attention to these forgotten actors. 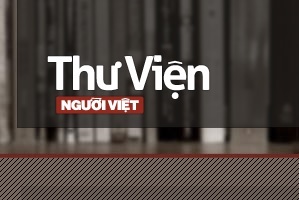 Through a biographical approach, this paper focuses on the political life of Nguyen Ngoc Huy, a well known intellectual and tireless activist. 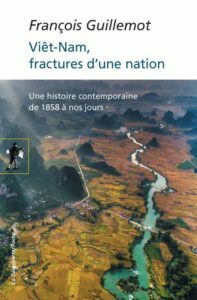 Each step of his relatively short life mirrors the internal fractures of the contemporary history of Vietnam: first, the « August Revolution » and the war for independence; second, the two decades after the partition of the country into two competing states and the struggle within the nationalist camp; and finally, the fall of Saigon and the years of exile and resistance. 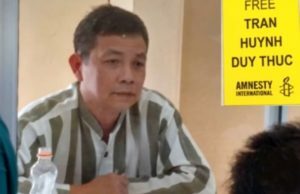 Huy perfectly embodies these three crucial steps in the struggle for independence and for a non-communist Vietnam. His political action in Vietnam and in particular in the post-Diem Republic of Vietnam instilled in the Vietnamese people the need to find a new path, both liberal and democratic, for their country. His political action outside Vietnam allowed the defeated elite to become aware of new geopolitical challenges and to politically rebuild within a transnationalist perspective. In this way, this paper examines the potential legacies of Huy’s actions and thought. 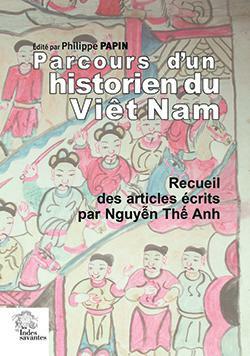 François Guillemot is a researcher at the National Center for Scientific Research (Centre National de la Recherche Scientifique CNRS) in charge of Vietnamese documentation at the Lyon Institute of East Asian Studies (Institut d’Asie Orientale IAO, France). He received his doctorate in History from the École Pratique des Hautes Études (EPHE, Paris) in 2003. His current research focuses on the political and cultural issues of the Vietnam War and on Vietnamese non-communist nationalism. 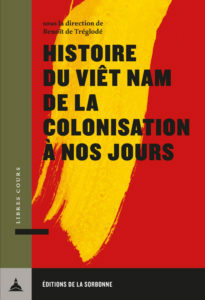 In 2007, he organized with Agathe Larcher-Goscha an international colloquium entitled “Bodily Identities in Vietnam: Transformations and Diversity” at the École Normale Supérieure in Lyon. He is the author of “Death and suffering at first hand: Youth Shock Brigades during the Vietnam War (1950-1975)”, Journal of Vietnamese Studies, Vol. 4, Issue 3, Fall 2009, pp. 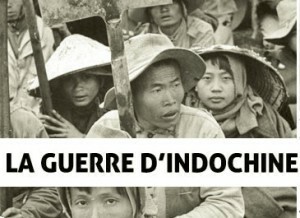 17-60; Dai Viet, Independence and Revolution in Vietnam 1938-1955: The Failure of the Third Way (Indes Savantes, 2012, in French); and The Other Half of the War: Vietnamese Women in the Civil War 1945-1975 (Indes Savantes, forthcoming, in French). The Paris Peace Accords remain the subject of deep historical analysis, much of it highly contentious. Various historians have heavily scrutinized the policies and motivations of U.S. President Richard M. Nixon and his National Security Advisor, Dr. Henry A. Kissinger. One claims that Nixon and Kissinger sought a “decent interval” between the American withdrawal and a predictable South Vietnamese collapse. Another claims the opposite, that the Nixon administration designed an unworkable peace accord, seeking to create conditions for “permanent war.” This “permanent war” would provide a pretext for the American military to continue aerial and naval bombardment of Communist military forces. 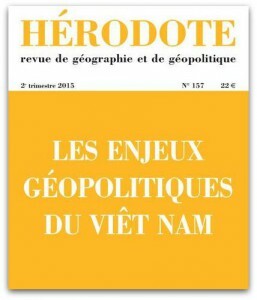 Other scholarship has focused on North Vietnamese motivations. The publication of internal Communist primary sources, plus a few memoirs, has enabled Western researchers to illuminate Hanoi’s goals. 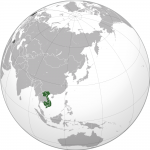 However, the actions of America’s South Vietnamese allies remain relatively unexplored. While South Vietnamese President Nguyen Van Thieu’s negative reaction to the American peace plan is well established, resulting in the intense re-negotiations of the accords from late October 1972 to late January 1973, Saigon’s policies, both internal and external, to prepare for a negotiated end to the war have been largely ignored. 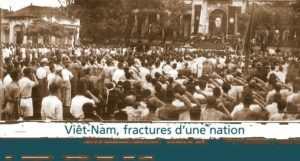 By examining Thieu’s policies from the beginning of peace talks in late 1968 to their denouement in January 1973, a clear pattern emerges of President Thieu’s negotiating proposals. This paper outlines Thieu’s policies, his overall goals, and how the Americans eventually came to ignore his policies. 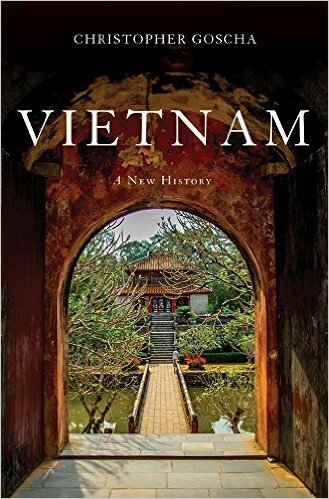 George J. Veith is the author of Black April: the Fall of South Vietnam, 1973-1975 (2012). Mr. Veith also published Leave No Man Behind: Bill Bell and the Search for American POW/MIAs from the Vietnam War (2004), and Code-Name Bright Light: The Untold Story of U.S. POW Rescue Efforts During the Vietnam War (1997). Code-Name Bright Light was Book of the Month for the Military Book Club in January 1998. 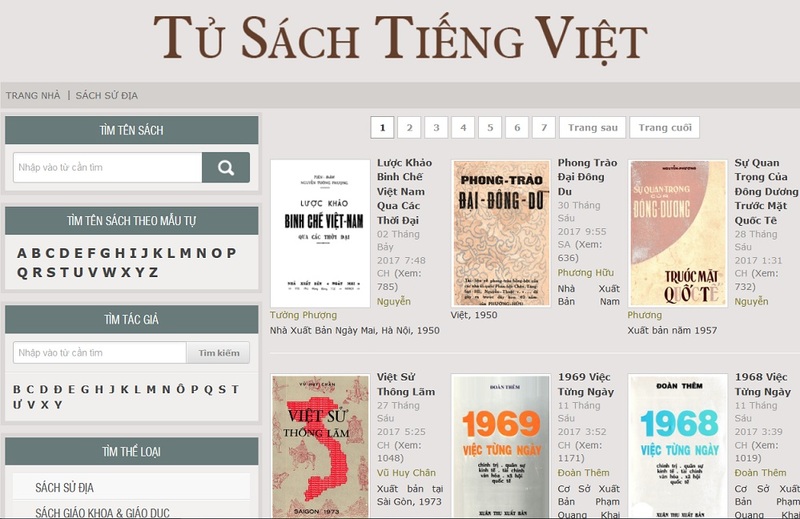 He has continued to write and publish about the Vietnam War, including many symposium papers, an article on the battle for Xuan Loc in April 1975 that appeared in the January 2004 issue of the Journal of Military History, and various newspaper articles. He has spoken to the American Legion, National League of POW/MIA Families, National Alliance of Families, and many others. Mr. Veith has testified be fore the House of Representatives twice on the POW/MIA issue, and has appeared on Fox News and other radio and TV stations. He is currently writing an article for “The American Legion” magazine comparing the end of the Vietnam War with the end of the Afghanistan war. The 1960s-70s in the United States and Australia are often remembered as times of upheaval, social change, and activism. The Vietnam War and the civil rights movements for African-American, Native American, Aboriginal and Torres Strait Islander peoples have been central to studies of the 1960s-70s. What has not received significant historical attention, though, has been the intersection of these themes: Indigenous participation in the Vietnam War. This paper compares Indigenous military service in Vietnam, exploring the various parallels and divergences between the experiences of Native American and Australian Indigenous servicemen. Oral histories from both groups have generally described the war in a similar manner as their nations’ respective non-Indigenous servicemen. Even so, there are stark similarities and differences between the experiences of the two peoples ranging from their motivations to enlist, their treatment in Vietnam, their adjustment back to civilian life and their roles in Indigenous Affairs in the United States and Australia. Through the lens of comparative history, this paper analyses the Indigenous Vietnam experiences of Native Americans and Indigenous Australians, using personal stories to ground the comparisons in the lived experiences of the Indigenous servicemen. Noah Riseman completed his PhD at the University of Melbourne in 2008. His PhD, recipient of the 2009 C.E.W. Bean Prize in Military History, was a comparative analysis of Yolngu, Papua New Guineans, and the Navajo Code Talkers in the Second World War. A revised version of his PhD was published in 2012 by University of Nebraska Press as Defending Whose Country? Indigenous Soldiers in the Pacific War. Dr. Riseman is now a Senior Lecturer in History at Australian Catholic University in Melbourne. He is currently part of two Australian Research Council projects examining the history of Aboriginal and Torres Strait Islander military service, with particular focus on the post-Second World War era. The end of the Vietnam War in 1975 led to one of the largest and most visible diasporas of the late twentieth century. 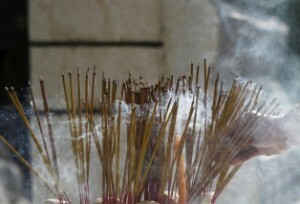 More than two million Vietnamese left their homeland in the following two decades. The major countries of resettlement were the United States, Australia, Canada and France. 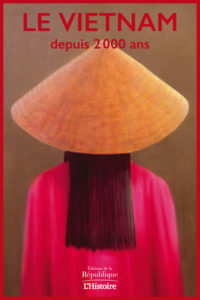 In Australia, the number of Vietnamese grew from only 1,000 in 1975 to approximately 233,000 in 2011 or just over one percent of the Australian population. 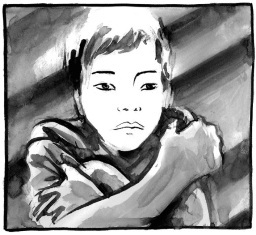 The Vietnamese community in Australia is a legacy of the Vietnam War and its aftermath. Among the Vietnamese refugees were many former soldiers. 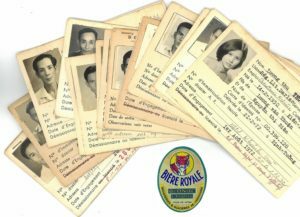 General mobilisation was decreed in South Vietnam in 1968 and nearly male over the age of twenty had some form of military experience. Vietnamese veterans have marched on Anzac Day in Australia since 1981 and are accepted as full members of the Returned and Services League of Australia (RSL), yet few know of their life stories, their war experiences or their perspectives of the war. 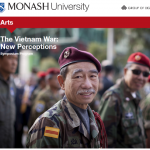 Based on an oral history project conducted in Australia, this paper will explore a little known aspect of Australian government policy towards a significant component of the Vietnamese refugee and migrant community in Australia–namely veterans from the Republic of Vietnam Armed Forces (RVNAF)– and examine the recognition of their war service by the Australian government as well as the political controversies that surrounded this issue in the Australian Parliament in 1985-1986. 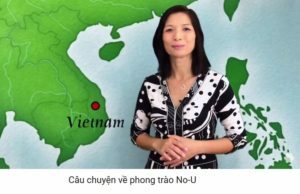 Nathalie Nguyen is an Associate Professor and holds an Australian Research Council Future Fellowship (2011-2015) for her project “Forgotten Histories: Vietnamese veterans in Australia” at the National Centre for Australian Studies at Monash University in Melbourne, Australia. Her previous fellowships include an ARC Australian Research Fellowship (2005-2010) at the University of Melbourne, a 2007 Harold White Fellowship at the National Library of Australia, and a 2011 Visiting Research Fellowship at the University of Oxford. On completing a B.A. (Hons) at the University of Melbourne, Nguyen was awarded the Dwight Final Examination Prize and the Professor Alan Rowland Chisholm Memorial Prize before winning a Commonwealth Scholarship and Fellowship Award to the University of Oxford, where she obtained her doctorate. She is the author of three books, two of which have been translated into other languages: Vietnamese Voices: Gender and Cultural Identity in the Vietnamese Francophone Novel (2003); Voyage of Hope: Vietnamese Australian Women’s Narratives (2005), shortlisted for the 2007 NSW Premier’s Literary Awards; and Memory Is Another Country: Women of the Vietnamese Diaspora (2009), which received international recognition as a Choice Outstanding Academic Title 2010, and was published in Paris, France, as La mémoire est un autre pays: Femmes de la diaspora vietnamienne (2013). In the 1970s and 1980s, Australia’s involvement in the Vietnam War was widely perceived to have been grievously mistaken, if not immoral. Numerous aspects of Australian social and political life reflected a reaction against not only Australia’s commitment to the war but to many policies and attitudes that the commitment was seen to symbolise. These included Australia’s strategic policies, especially the Australian-American alliance and Australia’s relations with Asia; the structure and doctrine of the Australian armed services; attitudes to conscription; relations between the military and the media; and the treatment of Australian veterans. In recent years, much has changed. Since the late 1990s, Australia has become involved in a number of military conflicts, notably in Iraq and Afghanistan, alongside the United States, despite protests that these commitments were repeating the mistakes of Vietnam. This paper reviews some of the arguments for and against Australian involvement in the Vietnam War, in the light of more recent developments. Peter Edwards has published extensively on the history of Australian defence and foreign policies, especially the Vietnam War and other conflicts in Southeast Asia, the Australian-American alliance, and the policy-making process. As the Official Historian of Australia’s involvement in Southeast Asian conflicts 1948-75 (Malaya, Borneo and Vietnam), he was the author of Crises and Commitments (1992) and A Nation at War (1997), and general editor of the nine-volume series. A graduate of the Universities of Western Australia and Oxford, he is currently an Adjunct Professor at Deakin University. He is a Member of the Order of Australia, a Fellow of the Australian Institute of International Affairs, and the winner of several literary awards. 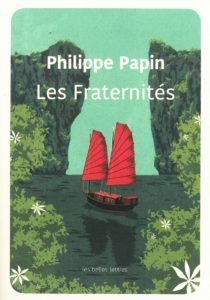 At a time when we are approaching the sixtieth anniversary of the battle of Dien Bien Phu, it seems relevant to compare four novels of contemporary French writers of Vietnamese origin evoking tragic love stories in wartime and symbolizing the impossible union of opposites: the West and Asia, colonizers and colonized, male and female, life and death. The four novels are Kim Lefèvre’s Les Eaux mortes du Mékong (Dead Waters of the Mekong) (Points, 2010); Hoai Huong Nguyen’s L’Ombre douce (Gentle Shadow) (Editions Viviane Hamy, 2013); Anna Moï’s Riz noir (Black Rice) (Folio, 2006); and Tuyêt-Nga Nguyen’s Le Journaliste français (The French Journalist) (Le grand miroir, 2007). 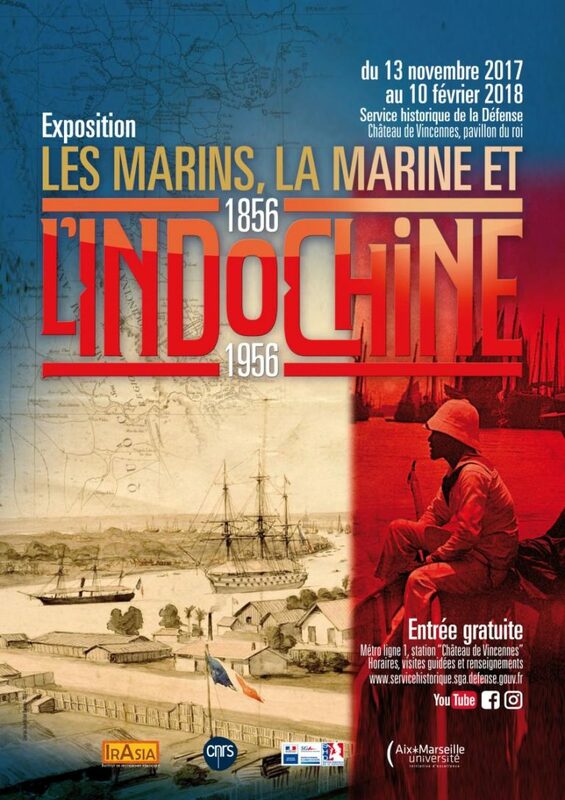 This paper will discuss the myths and topoi of thwarted love in France and Vietnam as well as the weight of culture and tradition, and will seek to decipher the meaning and allegory of the heroic female figure. From one war to another (the Indochina War to the Vietnam War), these four contemporary novels provide a reflection of a meeting of worlds and clash of cultures at the crossroads of history and literature. Thanh-Vân Ton That is Professor of Comparative and Francophone Literature at the University of Paris-Est Créteil. A graduate of the École Normale Supérieure (Ulm) she obtained her doctorate from the Sorbonne. She has published critical editions of Les Pas effacés by Robert de Montesquiou and the poetry of Anna de Noailles (Éditions du Sandre, 2007, 2013), translations (Gogol, Chekhov), and Proust ou l’écriture prisonnière, Le Ravissement de Lol V. Stein: un roman de la folie amoureuse (Éditions du temps, 2000, 2005), Léon Cladel et l’écriture de la Commune (L’Harmattan, 2007). Her current work focuses on Francophonie in Vietnamese and Russian. Frank Palmos is an historian and former journalist. He was a Vietnam War correspondent for five tours between 1965 and 1968, accompanying 33 land, sea and air missions from bases in Da Nang, Saigon and Nha Trang. He was the sole survivor of a Viet Cong ambush of five Western war correspondents in Cholon, Saigon, on 5 May 1968 during the Second Tet Offensive. 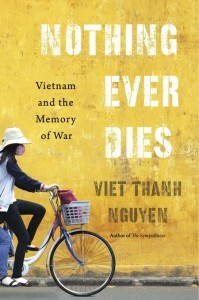 His experiences as a correspondent in Vietnam, and in his successful, two-year investigation into the Tet incident, constitute his autobiographical book, Ridding the Devils (Bantam, Sydney 1990) which has been translated into Vietnamese and read in serial form over Vietnam National Radio, 1990-1991. He compiled and authored the English version of Bao Ninh’s celebrated Vietnam War novel, The Sorrow of War (Secker & Warburg, 1993), winner of the Independent Foreign Fiction Award 1994, and rated by the Society of Authors, London, as one of 50 best translations in the 20th century. He was a contributor to Requiem (Jonathan Cape, 1997), edited by Horst Faas and Tim Page, in memory of the 135 combat photographers and correspondents killed over two decades in the Indochina Wars. He received his PhD from the University of Western Australia in 2012 for his study of the Indonesian revolution, Surabaya 1945: Sacred Territory. This essay describes the experiences, thoughts, and feelings of one person in the years leading up to, during, and after the Vietnam War. The journey described has not ended because the war and its aftermath continue to preoccupy his thinking now over forty years since his military service in Vietnam. From an emotional perspective, it was the dominant theme of his life, and continues to trouble him as he attempts to understand and reconcile his feelings of gu ilt at the United States’ and his own personal abandonment of the Vietnamese at the end of the war. 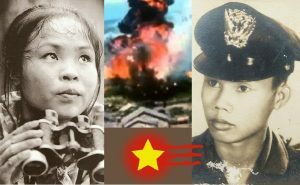 For those who did notexperience the war directly, it may help to illustrate the confusing, often distressing, and at times overwhelming events that made the war the central event in the lives of a generation of Americans and several generations of Vietnamese. Robert McKelvey received his BA in German and English History and Literature from Harvard University in 1966 and then spent a year on a German Academic Exchange Fellowship at Eberhardt-Karls University in Tuebingen. Subsequently, he was an officer in the United States Marine Corps, serving in Vietnam and earning a Bronze Star Medal with Combat “V.” He graduated from Dartmouth Medical School in 1974, completed his psychiatry residency at Cambridge Hospital/Harvard Medical School in 1977, and his child psychiatry fellowship training at McLean Hospital/Harvard Medical School. He has served on the faculties of Harvard Medical School, Baylor College of Medicine, the University of Western Australia, and Oregon Health and Science University. He is presently Professor of Psychiatry at Oregon Health and Science University and is in private practice. His academic interests include cross-cultural psychiatry involving refugee populations from Vietnam, physicians coping with the deaths of child patients, and the so-called “euthanasia” program in National Socialist Germany. He has published numerous articles and three books including The Dust of Life: America’s Abandonment of Its Children in Vietnam and A Gift of Barbed Wire: America’s Abandonment of Its Allies in South Vietnam. Protests over the museum exhibit, What’s Going On?– California and the Vietnam Era exhibition in Oakland, California (USA 2004-2005), initially appeared to arise from a cluster of Southeast Asian Americans finding voice and demanding inclusion. However, they actually showed that discontent with the exhibit was more wide reaching. Chicanos, veterans, free-speech protestors, peace activists, and others also wanted their views represented. From this point, my research revealed that no single segment of society owns the “Viet Nam War” as an experience. It is not even the exclusive domain of people who lived in Southeast Asia during the fighting. 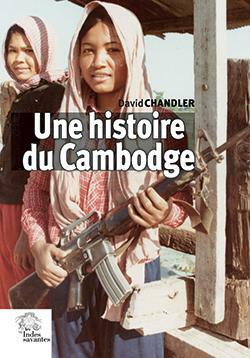 Many communities internationally embrace the “Viet Nam War” era wholeheartedly. For some involved in the war directly, it meant helping keep democracy alive; for others, like Latin Americans, it was about global revolution. 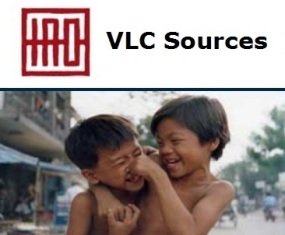 For Southeast Asian Americans it signaled a new beginning as diasporic peoples building communities away from “home.” This paper examines the various and divergent views of the Viet Nam War experience and its role in the development of personal, community, and national identities. 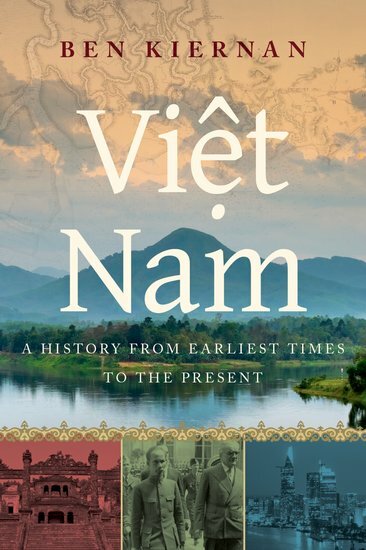 This serves to help us rethink the Viet Nam War period and its aftermath with a much more globally inclusive perspective. Coming full circle as a co-curator for the Vietnam National Museum of Fine Arts to commemorate the 40th anniversary of the end of the Second Indochina War, I am invested in a broader understanding of the impact of this era and the assertion that the Viet Nam War as concept is owned by the world. Kieu-Linh Caroline Valverde is Associate Professor of Asian American Studies at the University of California, Davis. She received her B.A. in Political Science and Ph.D. in Ethnic Studies at the University of California, Berkeley. Her teaching, research and organizing interests include: Southeast Asian American history and contemporary issues, mixed race and gender theories, Fashionology, Aesthetics, Diaspora, and Transnationalism Studies. 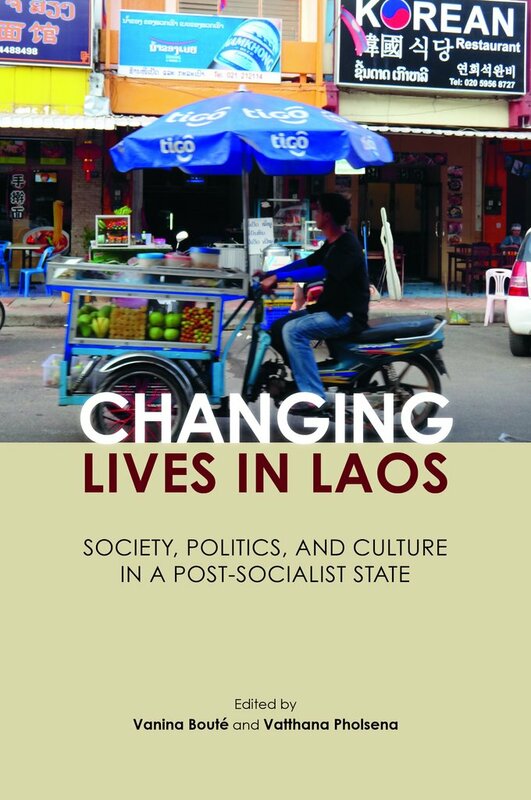 She authored Transnationalizing Viet Nam: Community, Culture, and Politics in the Diaspora (Temple University Press 2012). Professor Valverde founded Viet Nam Women’s Forum (1996-2006), a virtual community with hundreds of women internationally that mobilized for change in Viet Nam and abroad,and Fight the Tower (2013), a movement to resist and demand justice against discriminatory practices directed against women of color in the academy. ProfessorValverde was a Luce Southeast Asian Studies Fellow at the Australian National University (2004), Rockefeller Fellow for Project Diaspora at the University of Massachusetts, Boston (2001-02), and a Fulbright Fellow in Viet Nam (1999). As a passionate advocate for the arts, she curated the exhibit Áo Dài: A Modern Design Coming of Age (2006) for the San Jose Museum of Quits and Textiles in partnership with Association for Viet Arts, and consults for the annual Áo Dài Festival held in San Jose, California (2011-present). 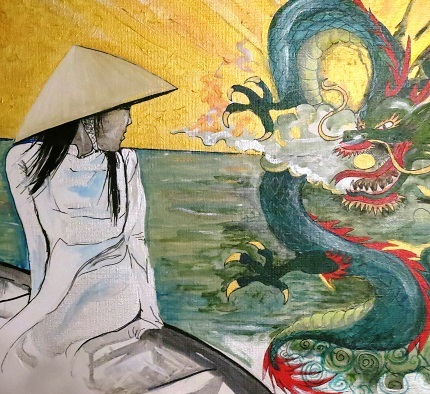 She is currently co-curating an upcoming exhibit for the Vietnam National Museum of Fine Arts to commemorate the 40th anniversary of the end of the Second Indochina War.